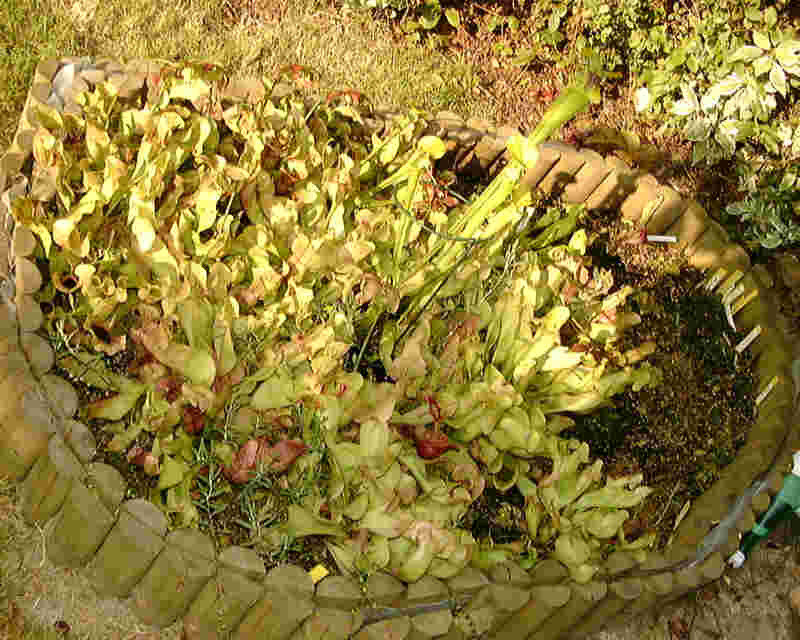 I have built a small bog in my garden to keep my favorite species of Sarracenia : Sarracenia purpurea and it’s subspecies. This is in fact a good situation for growing Pinguicula lusitanica. I have many plants of different ages . For this I sow each year new seeds (self-production) to have many plants as this species in culture survive generally no more than three years. I began with 2 plants from the famous french carnivorous plant nursery "Nature et Paysages" and now I have about 100 Pinguicula lusitanica and many seedlings. The bog receive sun from 2PM to 6 PM . This is not enough for the Sarracenia but enough for the Pinguicula population shaded by the Sarracenia. The bog is small (about 1m²). I have excavated the soil at about 60cm. A pond liner isolate the bog from the garden soil. All have been filled with pure sphagnum peat. I use rain water and the weather in Paris is perfect to provide enough rain to fill the bog. The main problem of this bog is snails and slugs that are happy to eat young plants. My small bog before I remove few Sarracenia. Here is Pinguicula lusitanica in full bloom.